You’re sitting there at work stuck on a conference call in desperate need of something to fidget around with. Ditch the pen spinning or paperclip chains, we’re here to help with a great selection of desk toys to take your mind off work and even get your creative juices flowing. We’ve all been there and we totally understand how therapeutic it can burn off a little energy playing with small objects at your desk. Our picks range from fidget toys, like spinners and cubes, to calming zen gardens, to even oil-and-water timers. Whether you want to spin, build, or simply watch your desk toy at work, we’ve got great picks that’ll make your 9 to 5 much more interesting. Are fidget spinners a giant fad? Yes, yes they are. Are they really fun to play with? Absolutely. 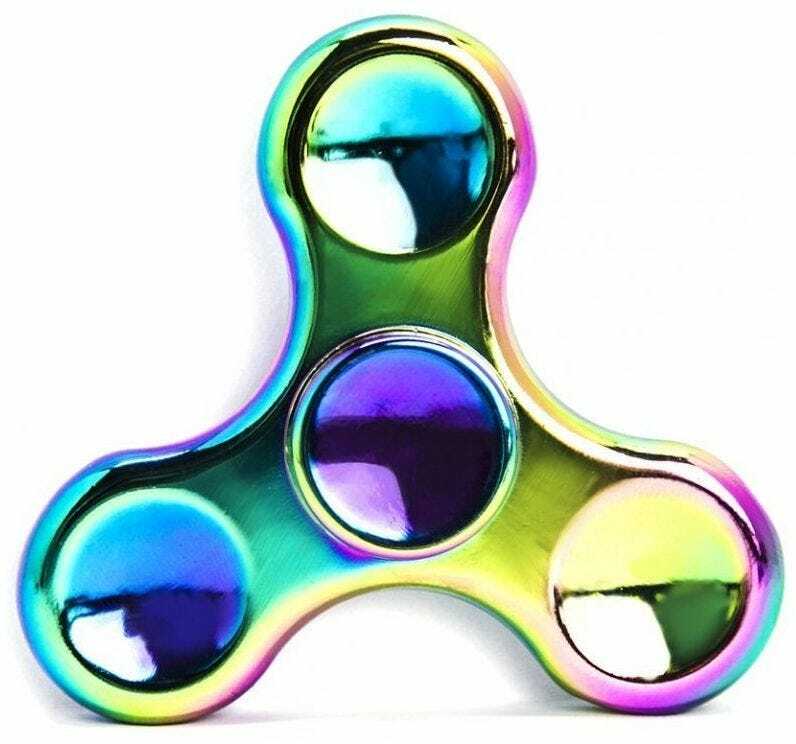 You might as well join in on the fad with this metal and rainbow fidget spinner that makes for a mesmerizing color combo while spinning. You’ll be able to whip this discrete toy out of your pocket and keep yourself focused during meetings at anytime. 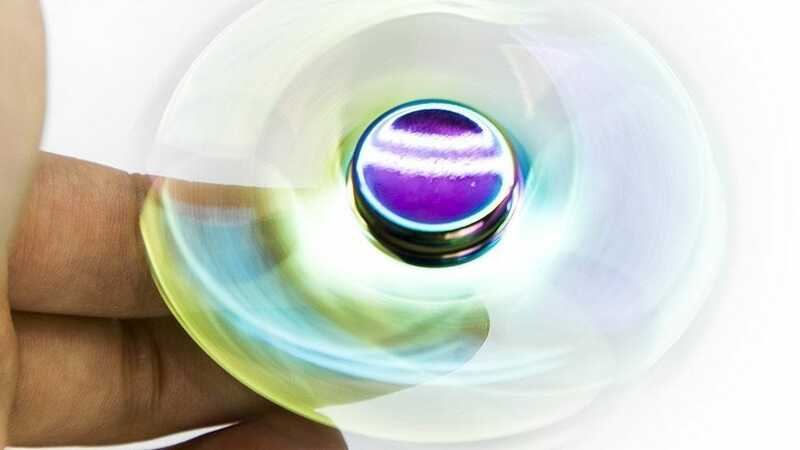 The spinner can even last up to 3 to 5 minutes on a single spin (we’ll admit to spinning fidget spinners on our desk just to watch how long they go). And if spinning isn’t enough, check out a fidget cube. This toy is similar to the fidget spinner in that it’s perfect for keeping busy hands, well, busy, but it’s got more options. The cube contains six different sides that you can rub, switch, roll, spin, and press, so you’ll never be bored. Need more excitement than a fidget spinner can provide? 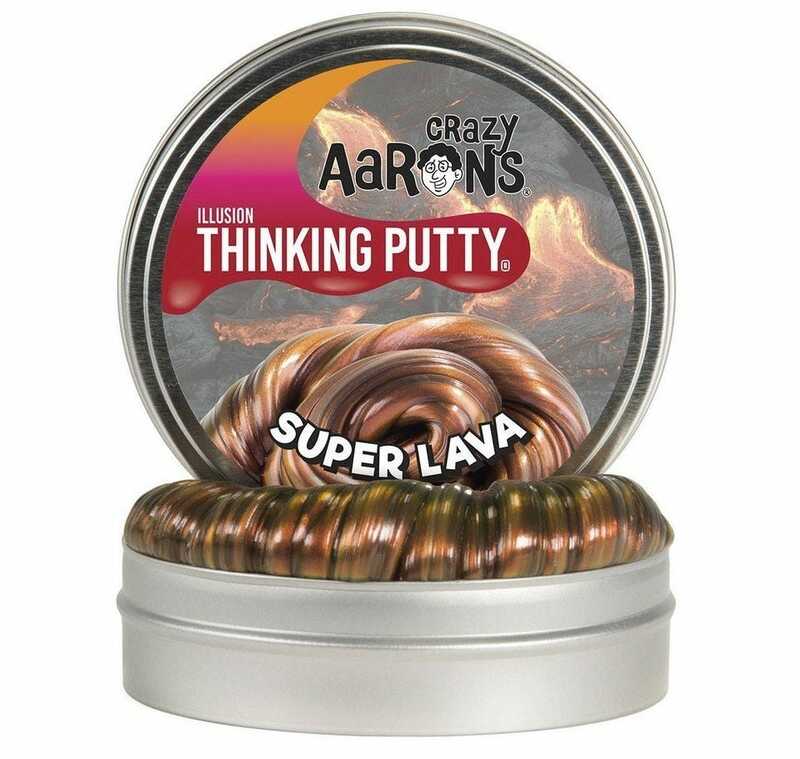 Try Crazy Aaron’s Thinking Putty, the putty for all ages that will keep you distracted for hours at a time. Thinking Putty comes in 30 different colors and styles, ranging from clear or opaque to metallic, and you can even get variations that are magnetic, glow-in-the-dark, or heat-sensitive. Thinking Putty can stretch and bend back to shape after twisting, or bounce like a ball—and you don’t have to worry about it drying out or crumbling since it’s silicon-based. This putty does it all, so the next time you’re bored, start squishing some Thinking Putty! Sometimes you just need to take a step back from a looming deadline and indulge in a little creative play. 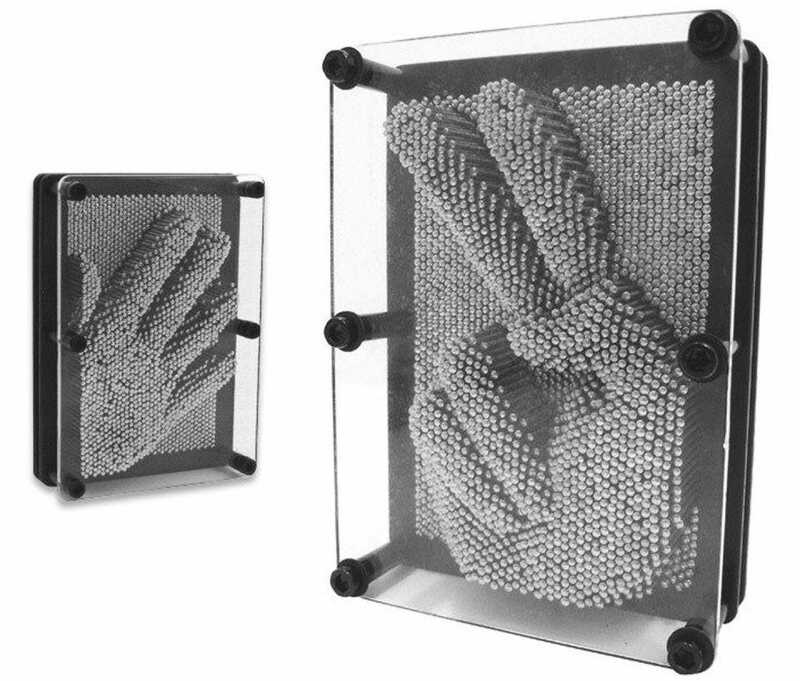 This classic 3-D Pin Sculpture let’s you engage in a little desk play like you’re a 1980s executive, pushing your hand or other objects into the matrix of pins to creating cool sculptures in the process. You can even press items into the pins then let the boards sit on your desk as decoration. This pack comes with two pin boards: a 5” x 7” board and a 3.5” x 5” board. Not only is this toy fun to play with, but it looks good too. 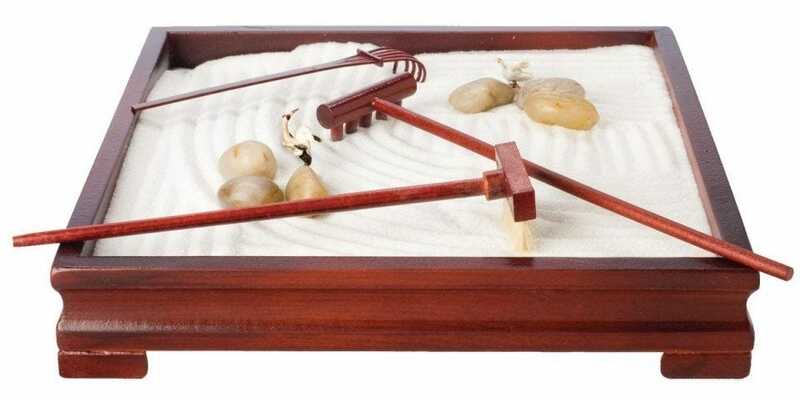 Sometimes you just need a calming distraction, and with this Toysmith Deluxe Zen Garden, you just might feel like you’re at a real Japanese meditation garden. You can zone out and rake or brush the sand in patterns just like you would with a real sand garden. Not only can you move sand, but you can arrange your garden using the ceramic cranes and an assortment of stones. The garden is a mere 9″ x 9″ and more than small enough to put on your desk without taking up too much room. This Zen garden also comes with a 64-page meditation booklet detailing the history of zen gardens and offering tips and tricks for tending yours. Are you in need of a toy that you can look at when you’re deep in thought that also looks stylish on your desk? This Toysmith Bubble Motion Tumbler isn’t as hands on as, say, a fidget spinner or putty, but it’s really relaxing. 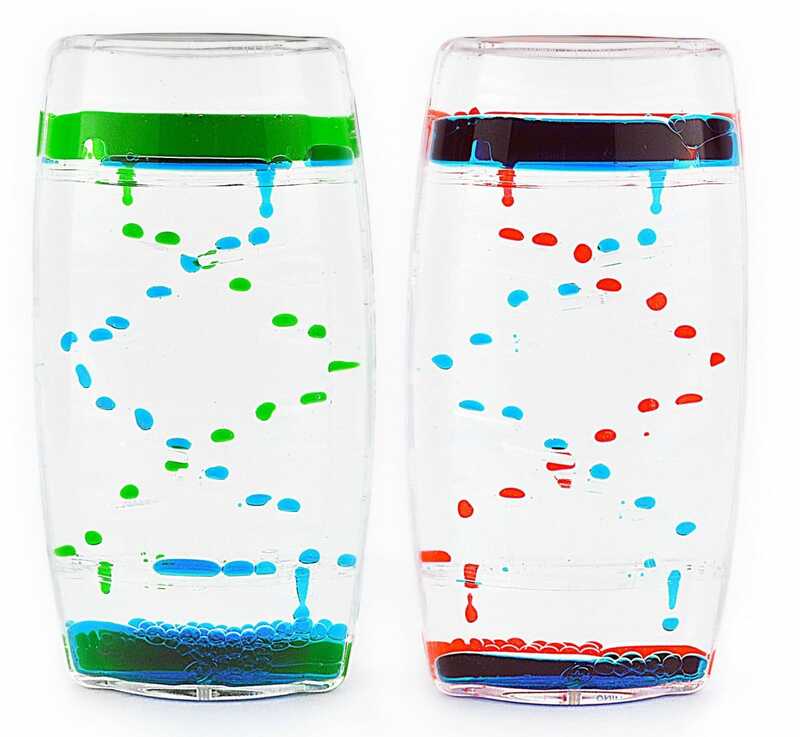 It’s mesmerizing to watch the colored oil drops work their way through the tumbler and when the show is over, turning the toy upside down sends the drops sliding back the way they came. Even if you’re not fidgeting with this bubble toy, it’s a great way to keep your focus during work. Looking for a classic fidget toy that’s simple to fiddle with? Look no further than the Tangle Toy. You can bend, attach, and twist it any way you put your mind to it. The Tangle Toy is great for idle hands, and it’s really portable, so you can take it from your desk to your meetings. It’s quite a durable little toy too because it’s designed to be taken apart and bent over and over again. 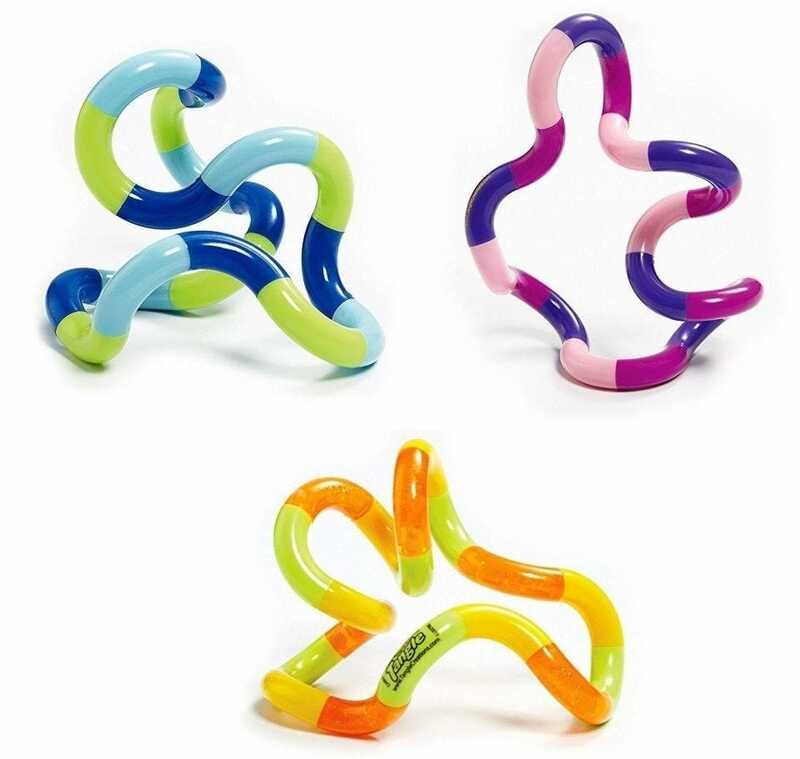 The Tangle Toy is based off of the concept of continuous motion and infinity—each “tangle” is a series of 90 degree curves, pivoting at each joint with no beginning or end. Enjoy this toy infinitely! If you’re an intense fidgeter with a creative bent, this EDC Fidgeter Magnetic Cube is the perfect desk toy for you. It’s not just small and quiet, it’s the most flexible and creative toy in our roundup. It’ll allow you to unleash your inner creativity: all of the small cubes that make up the entire magnetic cube can come apart so you can shape your design into anything ranging from towers to boxes to wheels. 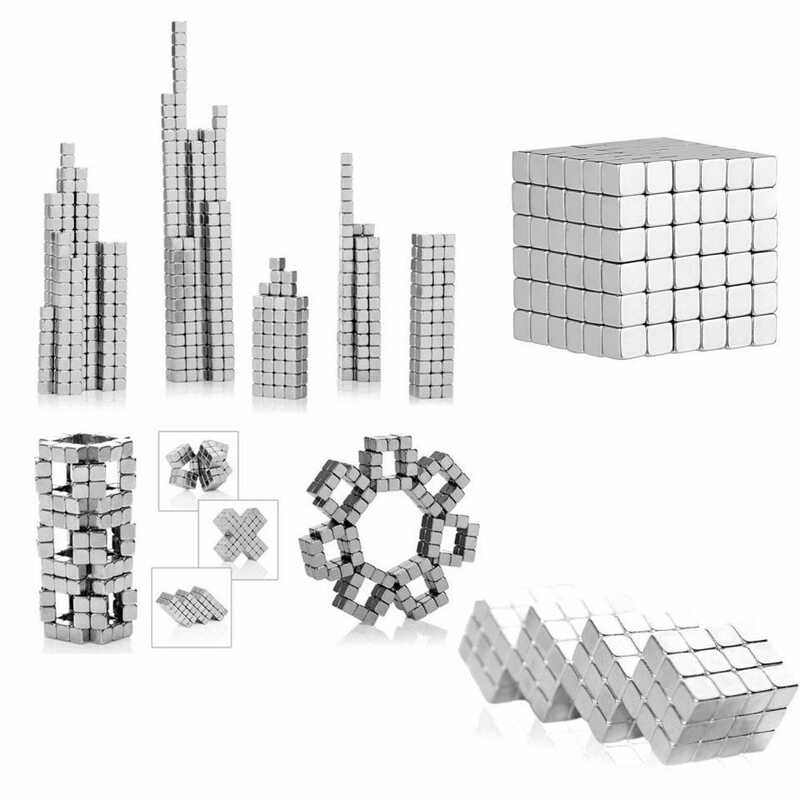 Anything you can dream up, you can build (on a tiny scale of course) with your magnetic cubes.